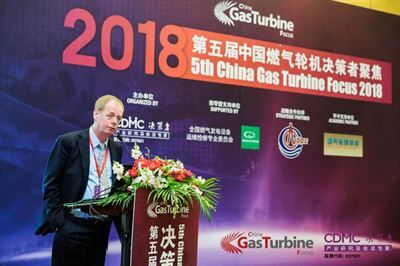 The Gas Turbine Focus Awards Ceremony celebrates the leading enterprises in China and beyond. It’s also an appeal to encourage the new rising and promising companies. China is a potentially significant market for Eagle Filters’ technology. The total electricity produced by Combined Cycle Gas Turbine (CCGT) plants in China is estimated to be 188 TWh, which presents a significant opportunity for Eagle Filters in the Chinese market. Eagle Filters has already proven that it can provide significant fuel savings and efficiency gains for gas power plants in other markets such as the US and Europe. Their filtration solutions are compatible with the majority of filter housings already in place at CCGT’s, so they can be deployed without the need for changes on the part of gas turbine managers. To provide an example of Eagle Filters’ potential in China, their technology could provide 3.2 million MWh of extra production (equivalent of two large power plants); 8 million GJ fuel savings (or 200 million m3of natural gas); and 450 000 tons of CO2 prevented if it were rolled out in all CCGT. “Eagle Filters is a great example of a Loudspring company saving natural resources, in Eagle’s case natural gas. Eagle Filters supplies industry leading products to the energy industry and helps them save enormous amounts of fuel and thus reduce CO2 emissions. Saving a valuable resource like natural gas and optimizing its use is good for business and the planet”.